A comparatively small but significant step on our journey into the cosmos the moon represents one of the greatest milestones in the Earth's history. A time when life from our planet stood on another world and looked back at our tiny planet in an ocean of eternity. The journey into the cosmos is not felt by one people or one nation, but by all people. The exploration of space brings us all closer together as we learn more about how minute we are in comparison with the vastness of the cosmos. This more than anything else shows that we are one people, one planet regardless of superficial differences. We are earth, a tiny blue planet orbiting one of billions upon billions of stars in the universe. 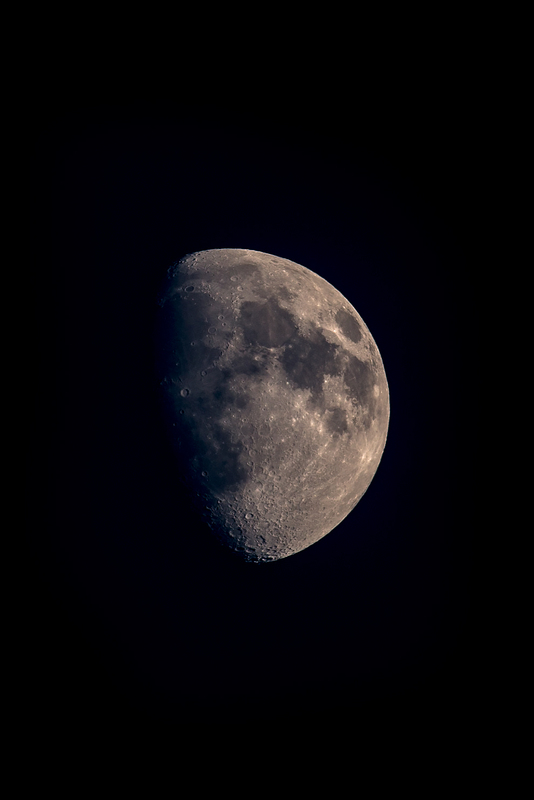 The moon taken with a 400mm F/5.6L on a Canon 5D Mark III on a tripod.